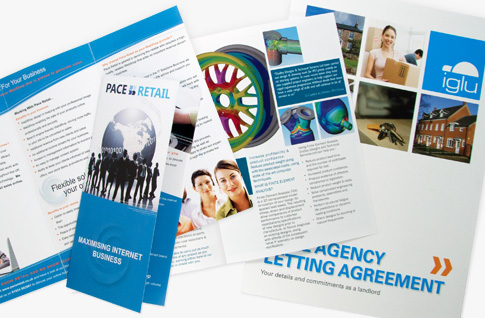 If you need high quality Folded Leaflets and Flyers then you have come to the right place. We specialise in full colour printing onto premium Gloss and Silk paper/card, so you can be assured that your designs will really stand out and look the part. We offer a choice of sizes including; A3 folded once to A4, A4 folded once to A5, A4 folded twice to DL and A5 folded once to A6. We can also print bespoke sizes and offer different folds on request. What can Folded Leaflets & Flyers be used for? Our Folded Leaflets and Flyers are extremely versatile products and are often used as takeaway menus, information handouts, price lists and as general marketing material. They are an extremely affordable and proven medium in customer advertising. Unlike digital advertising, you can follow up a meeting or event with something tangible, that is packed full of information, to leave with your customer. There are some key things you should definitely include in your design e.g. telephone number, email address, website address and your business address. You may also wish to consider adding a coupon, competition, discount code or an invitation to follow you on Facebook, Twitter or Google+. Some products are subject to VAT depending on what is printed on them. For example, Folded Leaflets and Flyers are normally zero rated and by default our website does not add VAT to them, however, if they were to offer discount on a product or service, or there was an area to be filled in by the recipient, then VAT may be applicable, in this instance please get in touch. For further information please see the HM Revenue & Customs website.